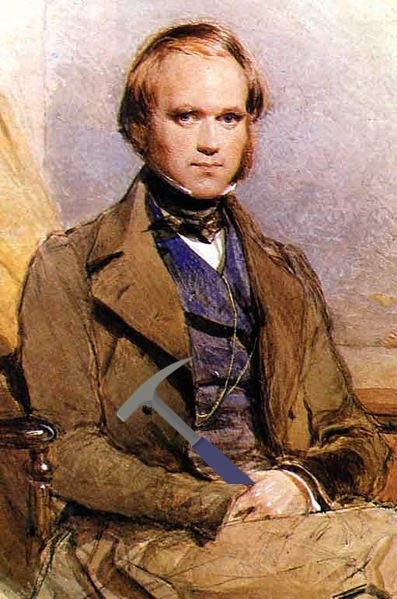 Portrait of Charles Darwin (with an editorial addition). Just a year after Samuel Phelps Leland dismissed Darwin at Wooster, a young biology professor named Horace N. Mateer began to teach a course on campus titled “Organic Descent”. In his Wooster Catalogue description, Dr. Mateer wrote that “the doctrine of development by descent has come to be regarded as the basic factor in the study of organic life”. With careful language and judicious politics, he broke through the resistance and taught evolution openly at Wooster for the first time. He was very cautious indeed: he did not write the word “evolution” itself into any course description (it did not appear in a Wooster Catalogue until 1963! ), and he repeatedly gave a popular talk on campus called “Evolution and Christianity” in which he essentially avoided Darwinian natural selection in favor of a kind of progressive creationism that correlated with biological and geological evidence. Nevertheless, Professor Mateer laid the foundations for secular evolutionary science at Wooster.